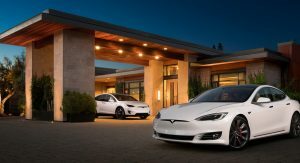 More customers in Europe opted for a Tesla Model S last year, with the American electric car beating traditional luxury brands like Mercedes and BMW in their home turf. 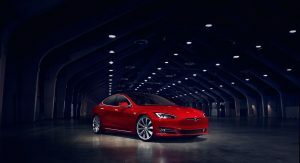 While the Tesla Model S has been selling more examples than Mercedes S-Class and BMW 7-Series in the US for some years now, the same happens for the first time in Europe, Automotive News reports. 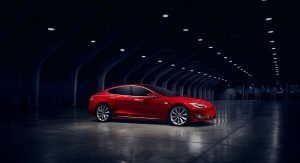 Sales of the Tesla Model S in Europe have increased by 30 percent, with 16,132 cars sold in 2017. Mercedes sold 13,359 S-Classes for the same year, an increase of 3 percent. BMW sold 11,735 7-Series models, a 13 percent decrease over 2016. 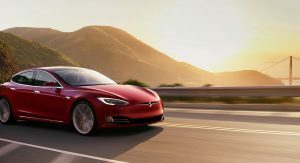 In the US, Tesla’s Model S sales were up by nine percent last year to 28,800 cars, beating rivals like the Cadillac XTS (16,275 units) and the Mercedes S-Class (15,888 units). Even the Model X is gaining traction on the European sales charts, as it managed to sell 12,000 units last year, which is about the same as the Porsche Cayenne and nearly 2,000 cars more than the BMW X6. “This is an alarm for the traditional automakers such as Mercedes. It says a smaller but smarter brand such as Tesla can beat them at home,” said Felipe Munoz, an analyst with JATO Dynamics. Munoz added that European automakers need to respond faster to their customers’ interest in electrification as it seems that the traditional automotive industry “can’t deliver on time”. Jaguar is planning to unveil the production version of the I-Pace electric SUV on March 1, ahead of the model’s public premiere at the Geneva Motor Show. Audi will follow in August with the introduction of the e-tron Quattro SUV while later this year Porsche will reveal the Mission E electric performance sedan. That Tesla continues to lose $16 million a day? And another YEAR delay on the Model 3 production while Chevy Bolt destroys the Model 3 in sales? Why is this news? It doesn’t sell for the same money as the S_Class or the 7-Series. If it has a higher ATP and outsells them, that is a something to boast about. If not then it means nothing. It doesn’t sell for the same money? Really? I thought it was right in the heartland of the class. It starts at £65k here in UK, exactly where the 7 Series starts. Maybe in he U.K. it does. That’s exactly what I just said isn’t it? This article states that the Tesla Model S has outsold the S Class and 7 Series in Europe, not in USA. I’ve not seen any reports of discounting in UK or elsewhere in Europe but I am disappointed to hear that they are having to discount heavily in USA. I’m not a Tesla fanboy by any stretch of the imagination, but I would imagine that the Germans discount a fair bit too. They certainly subsidise lease deals to extraordinary levels even if they don’t discount. It seems as though the Tesla honeymoon period is over though, either way. And what I said was that if it has the same ATP as the S_Class and 7-Series then you have something, or did you miss that? It doesn’t matter what the MSRP is, it matters what the car actually sells for. Until that info is given you don’t have squat. No, I didn’t miss it, I’m quite capable of reading, but I do have a low boredom threshold. If you want to believe that Tesla is the only manufacturer discounting and subsidising lease deals then fine, go ahead, whatever floats your boat. We are agreed that it certainly does matter how much the car actually sells for (or actually, how the lease payments compare, more often than not) but there have been no reports thus far that Tesla is having trouble selling cars here in UK or Europe, not yet at least. If such reports do transpire I will make sure to credit you with precognition. I have myself been the very grateful recipient of a heavily subsidised lease deal on a wonderful Mercedes Benz that I enjoyed immensely for 2 years. They all discount. They all subsidise. I can see that this doesn’t fit with your dogma and you are not going to accept any comment or opinion that doesn’t accord with yours. Average Model S configuration (purchased) is $83,070 after federal and state incentives. Read the long comments above. Facts are good education. 27,060 Tesla Model S sales in the US > 15,888 Mercedes S Class sales in the US. And yes, they are priced competitively. Mercedes S is more expensive. Tesla S is no ways near in terms of quality, features. And that fancy tax credit is drying up for Tesla real fast. Mercedes actually MAKES money of its S Class; Tesla doesnt. In many other markets as well. Where it is cheaper, it is cheaper because of tax subsidies for electric cars; But net price, size and tech features puts it straight up with the Germans, and most of the market (except some fan boys, who often can’t afford a luxury car anyway) sees the Model S there anyway; Only thing it is in a different league is depreciation, it clings to it’s value much much better than a 7 series or any Audi, despite many claiming electric cars would be unsalable as a used car…. So easy to “sell” cars when you are giving them away. Explain why Tesla is losing $16 million a day? Model S is the only car in its class as far as i can tell. Imagine the Model S competing with a fully electric s class or a fully electric 3 series in 2018. 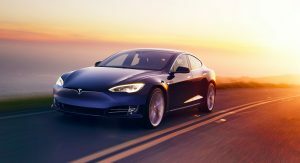 The Model S can cost almost $30,000 less than the cheapest BMW 7 series vehicle, since Tesla discounted them during the recent past. The sales numbers for this year show Tesla Model S sales cratering and far less than other luxo models. Perhaps you should make a comparison based on recent sales and with cars that are comparably priced. This comparison is silly. Yes, it “can,” but the average selling price of the Model S is $83,070, or $30 less than 2018 7 Series. See, the trend is, Tesla buyers either opt for the larger battery and no extra features, OR, smaller battery and fully loaded features. It’s not silly to MB and BMW because a large number of Model S owners are conquest sales from those who used to own S-classes and 7 Series. It’s a huge problem for MB and BMW, since they do discount their vehicles and Tesla absolutely does not. Wait, what ? Tell me where did you get such informations and what discounts ? You mean discounts for the end of the year ? Or you mean usual marketing politics for selling their cars like MB do, who sold last year in EU 900k of vehicles and have to get rid of cars from their storage? And don’t tell me about conquesting sales. Just look how Panamera’s sales boomed in EU, It’s one of the main reasons of stealing customers from S or 7. Belive me, Tesla S and S class are two different vehicles with two different characters. Two different worlds, especially in terms of build quality. Did I say that the Model S is in the same class as the S-class or the 7? No I did not. I said that the Model S is stealing sales from them, in spite of how they are categorized or what you think about the build quality. I don’t know what you’re going on about with the Panamera. Good car, but not the topic. And yes, MB and BMW dealers do negotiate prices at the end of the year, or whenever the dealer wants to move inventory. Tesla doesn’t. At least for now. Make sure you tell everyone you own a Model X. Called disclosure/ conflict of interest. In some cases I’m sure these are the same buyers, but not in all cases. Some of these greenies would have never bought a Mercedes or BMW in the first place. 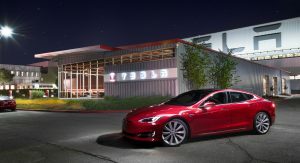 Tesla had better live it up while they can because once the Germans jump into the EV business with their superior quality, production, and distribution it will be lights out for Tesla. No where in there did I say “everyone”. I said some of them are greenies. Where did you get this information from? the Macan is Porsche best selling vehicle followed by Boxster/Caymans/911. None of those are hybrids unless I am missing something. I agree completely. With solid state batteries right around the corner, it is only a matter of time before every car maker has an electric only car in there line up; which will be better built and mass produced at a scale where the prices will be a lot cheaper than Tesla. You are acting as if we are talking about a Perpetual motion machine. It is a technology that all major manufactures are working on. The only thing that will make it not happen is if there is a major break through with hydrogen fuel cell. Not selling well? Teslas cars was in the topp 20 of best selling cars last year, its only china and usa Who sells more teslas than norway. 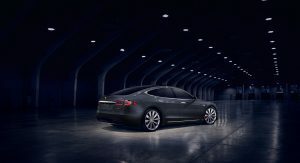 Tesla model S is competitor to CLS or A7. K, thx, bye. When they were creating that car, they bought Mercedes CLS and were modifying it. That was the source of inspiration for Model S and and main competitor in minds of creators. Why aren’t there any Tesla commercials in the United States? I’ve never seen one. Rolls-Royce doesn’t do advertising as a brand and instead benefits from its reputation among its clientele. Surprising to say the least. And congratulations to Tesla. No doubt Merc and BMW will come back swinging, with equal or better in the next 2 or 3 years. 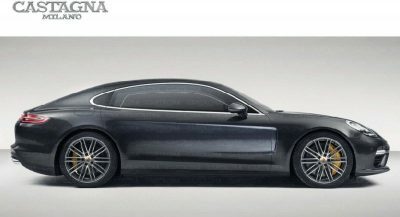 Tesla better have something amazing planned as a replacement for the S when the time comes. 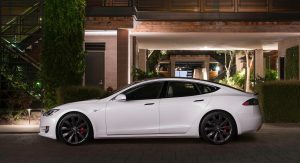 In early February, Tesla announced that reservers waiting patiently for their base Model 3 sedan won’t receive their car until 2019, which represents a full-year delay. Now, they’re beginning to defect to the 2018 Chevrolet Bolt EV, Reuters reported last Friday. Would-be owners have posted online detailing their frustration with the Model 3 delay and many are afraid they won’t receive their cars before the federal tax credit of $7,500 is depleted. Chevrolet dealer Yev Kaplinskiy said his dealership in San Francisco sold 15 Bolt EVs in one weekend following the Tesla announcement. “We ask them, ‘What other cars are you interested in?’ They’re mostly Tesla. But they want the car now. They don’t want to wait,” he told Reuters. Chevrolet sold 23,297 Bolt EVs in 2017. In comparison, Tesla assembled and delivered only 2,400 Model 3s in the fourth quarter of 2017. It built just 260 Model 3s in Q3 of 2017. General Motors has two new electric cars less than 13 months away, and one will likely arrive as a more upscale alternative to the Bolt EV for the Buick brand. Ever notice on this site whenever there is bad news about Tesla, which seems to be quite often these days, magically a “Tesla is crazy amazing” story appears right after? See comment just posted, Tesla shill. Thank you. Only the Tesla fans think the Model S is a S-Class competitor. It’s because of Tax incentives. That’s the only reason. Its not true for price, this article is talking about the European market, not the US. In Germany a 5 series Beemer or E class can be had from EUR 50,000. A Tesla Model S sets you back a minimum of EUR 70,000. S-class and 7 series are more expensive still but at the end of the day the Model S is far closer pricing wise to these cars than to a mid size sedan. Yeah sure it has not the luxury or dimensions etc, no argument there. But price is a big factor and fact is buyers are willing to spend cash on a Tesla, that would otherwise end up getting you a luxury car. Skoda Superb also outsold S class. Based on exterior dimensions… The thing is electric cars have much more space inside. The Tesla Model S has more space inside than the BMW 7, how is that not luxurious? How is that not the same size category? Not to mention that the tech used on the Tesla models are also luxury category – actually no German car maker can match it. Have you ever had to go to the service just to pay for updating your 100 pixel outdated navigation system on a “luxury” German car? Because I had, and I find it a disgrace.